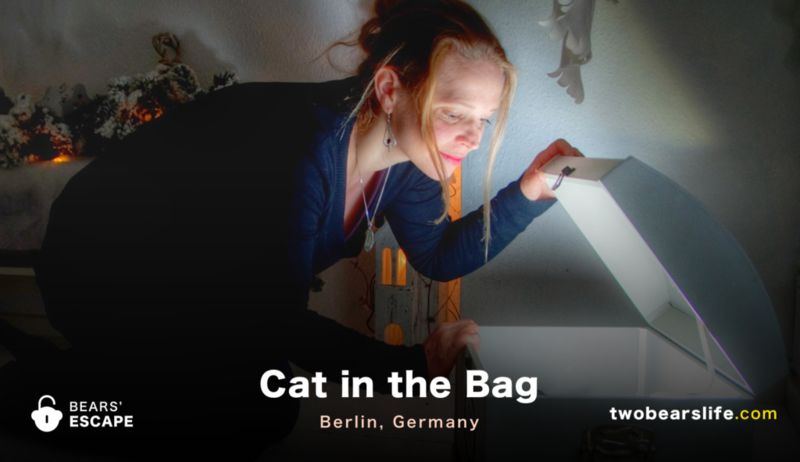 When we visited Cat in the Bag in Berlin the first time, we only had a chance to check out their “Alpin Hut”. So when some free time opened on our last Berlin visit, we took the chance and booked their other two rooms “Prison” and “Bunker”. We have updated our review, you can now read about all three rooms of Cat in the Bag. We had our appointment on Saturday morning, which meant we got up early and had a great breakfast at a great place called “House of Small Wonders“. Afterwords, we walked to the location of Cat in the Bag, since it was located fairly close by. We were welcomed by our super friendly gamemaster, who showed us the way to the waiting area as well as the toilets. 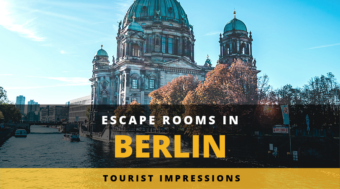 As with all the Escape Room companies we visited in Berlin, the location itself, the toilets as well as the waiting area was really clean. After storing our backpacks, we got our introduction to the room which the owner had recommended for us: “Alpine Hut”. 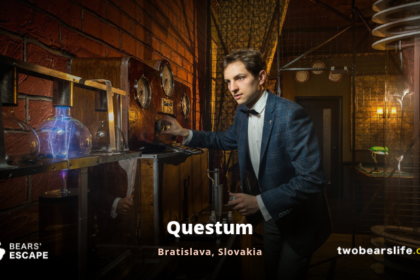 Since we live our daily lives in Austria, we had a little laugh about flying to upper Germany to do an Escape Room in the Alps, but hey – it is definitely a fresh idea. Update March 2018: We returned to Cat in the Bag in November of 2017 when we realised that the weather for the planned Bus tour was not very good and our friend wanted to sleep in. 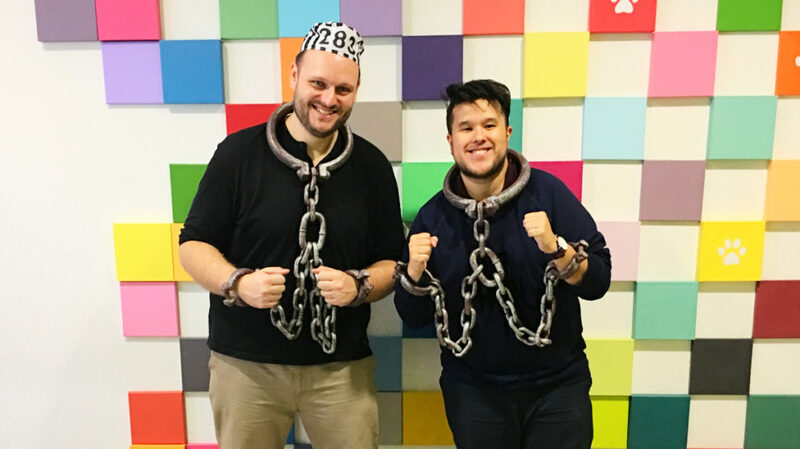 Escape Room enthusiasts like us made the best of the situation and checked if a room would be available – lucky for us, both rooms Prison and Bunker were open to book. And so we returned to finish our Cat in the Bag journey to Escape Room completion. The Alps. A snowstorm. Suddenly, a small, warm and cosy hut appears as if from nowhere. The doors are tightly closed and the hut seems to be alive. Solve all the secrets and hopefully find a way out! Once we entered the room, the doors locked behind us and our goal was to escape the hut in 60 minutes. But our first thought was: Why? The room is decorated in such a nice and comfy way, that we just wanted to snuggle and get a fire going. The room design is really beautiful and you feel the love for design in every corner. Never the less, our goal was to escape and so we got working. Like all of the Cat in the Bag rooms, the room is labeled for 2 – 4 people, which is an appropriate number. More could make the room feel very crowded. You can still go there with a bigger group – just prepare to split up in teams to do two separate rooms. Once we finished staring at the nice decor, we started searching. Interestingly, we never really got stuck on any puzzle. There is some search-and-gather work involved, but no task felt over-long or tedious. 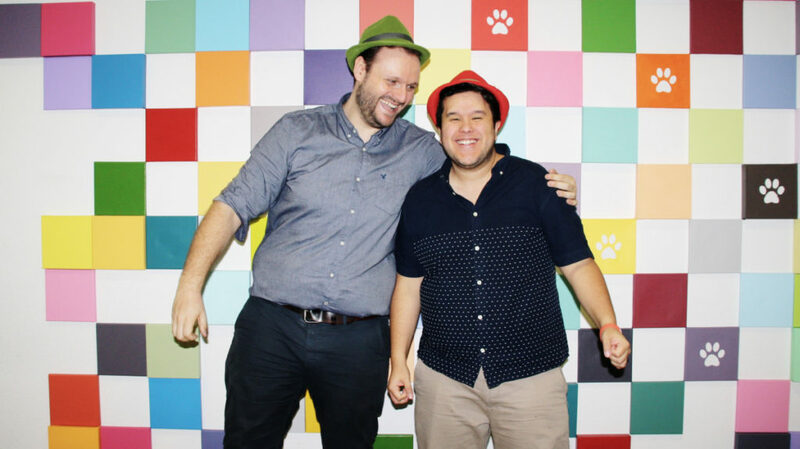 We struggled a bit with a really really small puzzle – which is totally our fault and I still can not believe how long we worked on that game element. The room went pretty smoothly for us, we rarely needed any help. Only in the later portion we ran into a problem, because we had to arrange certain elements and we could not figure out the right order. It would be helpful for the players to find a hint for that directly in the game instead of having to ask – but i am sure a lot of people also solve that because it may be a “no brainer” for them. All in all, we had a really good time. Alpine Hut in Cat and the Bag surely made us smile. And yes, we rock those alpine hats, don’t we? You are in prison. What else? Ah, you are innocent! Stop crying and feeling sorry for yourself, it is time to take action. Contrary to the Alpine Hut, the Prison is one of THE escape room classics. Never the less, we do like the approach that Cat in the Bag took with the game design. You will start the game separated in 2 groups in 2 cells next to each other. Someone from the outside is offering help and it is up to you and your cell neighbour(s) to figure out how to get out of the cells. Contrary to other Prison escape rooms we have played, you will spend a good chunk of the game-time separated from your teammate(s) – it is not just a short gimmick for 5 minutes in the beginning of the game. So it will be essential to use a smart and efficient way to communicate and trust your partner(s) to do their amount of work on their cell, otherwise nobody will make it out. We were told that the Prison is their easiest room at the beginning of our game, which was interesting because we struggled a lot. 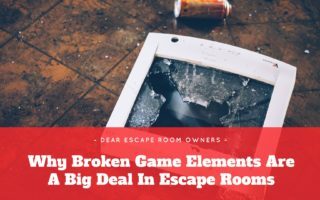 But the struggle in this case was not the rooms but our own fault – after playing a share amount of games, we tend to get lazy with searching and sometimes make assumptions that are not based on anything that the room told us but on stuff we just think “is the norm”. After reuniting and solving the last section of the game together, we did manage to escape in time. We did however need way more help than we would be proud to admit. Good advise: don’t be too lazy to search. Never. Stop. Searching. In general, we think this room is a good starter room and works well with groups of 2 to 4 – if you have more experience a 2 person group would be best. You open your eyes – around you is nothing but darkness. Your head is ringing, it is difficult to breathe. This must be the bunker. It is obvious you have been part of an experiment. You are alone; no one else is in sight. Now is your chance! With the Bunker, Cat in the Bag offers their take on a second Escape Room classic. You will find yourself in a dark bunker and your goal is to escape before the person who put you here returns. 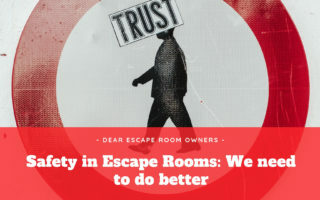 It is a slight mix between the serial killer and bomb shelter room concepts, but it works well for an escape room, so we get why it’s so popular. The Bunker is a bit more on the scary side – you will have to encounter darkness and some little jump scares in the room. There is no actor in the room though, so you can relax if you are more on the afraid side of escape room players like Alex. Although we did have to face the darkness, we did have a good progression through the game until we encountered a task/puzzle that threw us completely. We thought the game was trying to tell us some morse code, while that was absolutely not what was happening. Looking back to this, it would have been nice if the game master would have interfered a bit sooner – we lost a lot of time on that. Other than that, we did enjoy the puzzles and tasks in this room a lot – most were following a logical progression. They are very linear though – so the group shouldn’t be too big (which is not possible with their max. of 4 person anyway). We did have another issue in the end, where we lost a lot of time on unnecessary math because we missed certain clues in the room – thank god the game master did help us there after we asked her how they expected us to solve that without a calculator. Good tip for future rooms: when the math seems to complicated, you either missed a calculator or a hint in the room that should make it doable. In the end, we escaped the Bunker as well and we did like the ending here. All in all, the Bunker is indeed their hardest game – at least in our opinion. 2 to 4 people seems like a good group size, although the rooms here are bit bigger than the rest of the Cat in the Bag rooms. Did’t we escape the Prison of Cat in the Bag? While Apline Hut is very different to most of the Escape Rooms we have done, Prison and Bunker are more in line with classic escape room themes and will not stand out that much. We enjoyed the time we spent in the Alpine Hut most, but we also had good times in Prison and Bunker. Alpine Hut was fun and different. Sure, it was not the most elaborate and ambitious game we have ever played. But the room design was really well done and cozy, the puzzles made sense and were consistent and we needed barely any help while moving through the different stages of the room(s). Like I said in the room description, we only really had one minor problem with an arrangement puzzle. Everything else was really well done – so there is absolutely no issue in the game flow there. Also Prison and Bunker are well designed, but do not expect high-end production values. Both rooms are nice, but they do show their age a bit. Our gamemasters were nice and were very helpful when we asked for help – although is was clear that they did not watch us all the time. We spend a lot of time in Bunker on a task that we clearly misunderstood and a nudge from the game master would have been nice. 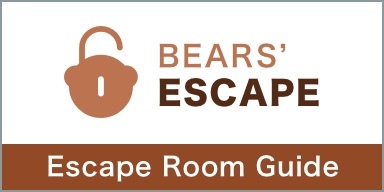 All rooms are ideal to play with 2 to 4 people maximum – if you are experts, try to go in teams of 2 and see if you can make it out in time without a clue. Otherwise, the rooms are all suitable for beginners as well – just don’t be afraid to ask for help, if you need it. English was no problem at all and we could talk perfectly with our gamemaster as well as the owner. 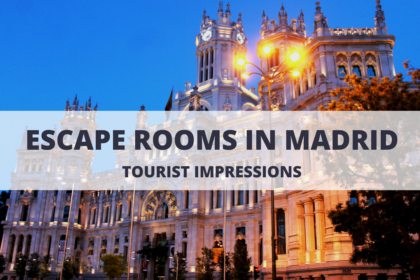 By the way – they also offer a birthday or proposal Service – so if you want to surprise your partner, check in with them ahead of time for a sweet moment in the escape room. Cat in the Bag is located fairly central and is reachable by public transport without any problems. They have a nice, clean waiting area as well as bathrooms. We have played all their rooms by now. We loved Alpine Hut for its unique look, while Prison and Bunker are more traditional escape rooms. All are well designed and have a good gameflow, although the age of the rooms start to show a bit. The gamemaster as well as the owner were super nice. 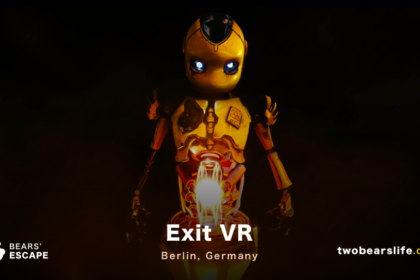 In total, while Cat in the Bag may not be best venue in Berlin, it is very charming and great for beginners as well as for 2-person-groups of enthusiasts. We had a really good time in Cat in the Bag.